It is doubtful that when Woody Guthrie wrote his quintessential salute to moving water, he had any idea of the effect that the years would have on his beloved Columbia river. Rapids have been submerged, huge hydroelectric dams have formed lakes in the desert, and the legendary salmon runs of yesteryear seem more myth than fact. 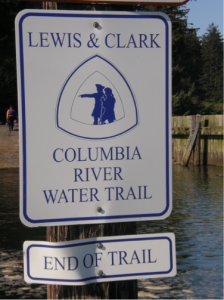 It has been 200 years since the first white men traveled the Columbia to the sea, but the tales of the Lewis and Clark expedition are still able to inspire the explorer within. For sea kayakers and canoeists, the development of the Lower Columbia River Water Trail provides ample opportunity to get closer to one of the most unique and powerful riverine ecosystems on the west coast. 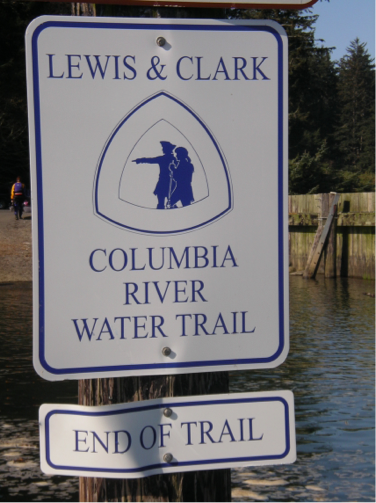 With the bicentennial of Lewis and Clark’s epic journey, new attention is being given to the river and ways that continued use can be made compatible with environmental concerns and its rich cultural heritage. 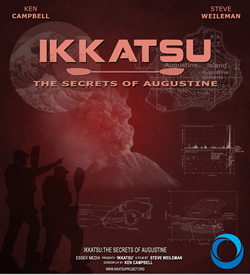 Historical sites such as Fort Clatsop, Fort Vancouver and former Native American village sites help to add the context that connects the past and the present. The Northwest Discovery Water Trail is another trail, currently in the planning stages, that will one day stretch for 367 miles from Canoe Camp (on the Clearwater River in Idaho), to the Bonneville Dam, where it will connect with the Lower Columbia Trail. “Camping areas are the one weak link at the moment,” says Waite, “although they are being developed and remain one of the priorities for the trail on the Lower Columbia. There are lots of choices for launching and landing sites, however, and the access continues to improve.” Sixty-one public access sites have already been identified and a trail database is currently being built that will help to track both existing and potential sites. 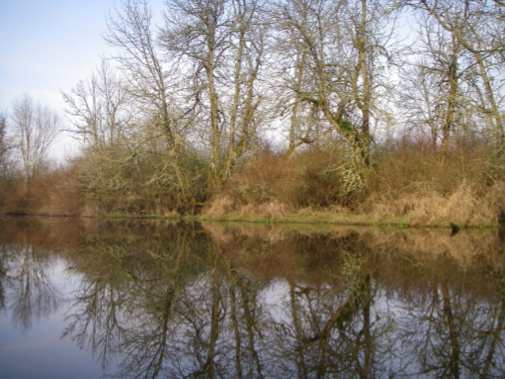 Although the Lower Columbia has extensive waterways that wind through low grassy islands where the wildlife viewing is spectacular and the paddling is relatively protected, it is important to remember that the river is a busy commercial artery that hosts thousands of seagoing vessels every year. Because the river is so wide, it needs to be considered as open water, characterized by long fetches where wind and waves can arise without advance notice. The currents in the main channel can be strong, and as the river approaches the ocean, the effects of tidal activity also become a factor. Downstream of Skamakowa, the trail begins to take on a decidedly maritime feel. At the mouth, where the Columbia Bar roils with the interaction of fresh and salt water, great paddling opportunities abound. Sand Island, just south of Ilwaco, offers expansive white-sand beaches and a windswept landscape; the beaches of Cape Disappointment State Park have surf breaks for all ability levels. Above it all, the Lewis and Clark Interpretive Center stands on the edge of a cliff inside the park. For a small fee, the visitor can walk through summary displays and relics from the voyage that opened a continent, then peer west through the large windows, toward the crashing breakers of the Bar. In a very real way, the variety of conditions and environments that make up the Lower Columbia River Water Trail provide the explorers of today with many of the same thrills as those who came before. As Lewis and Clark would have undoubtedly concurred, the most exciting part of any journey lies just around the next bend.